This electronic insect controller performs without pesticides, propane tanks, nets or glue panels. This is for one Brand [[Title]]. 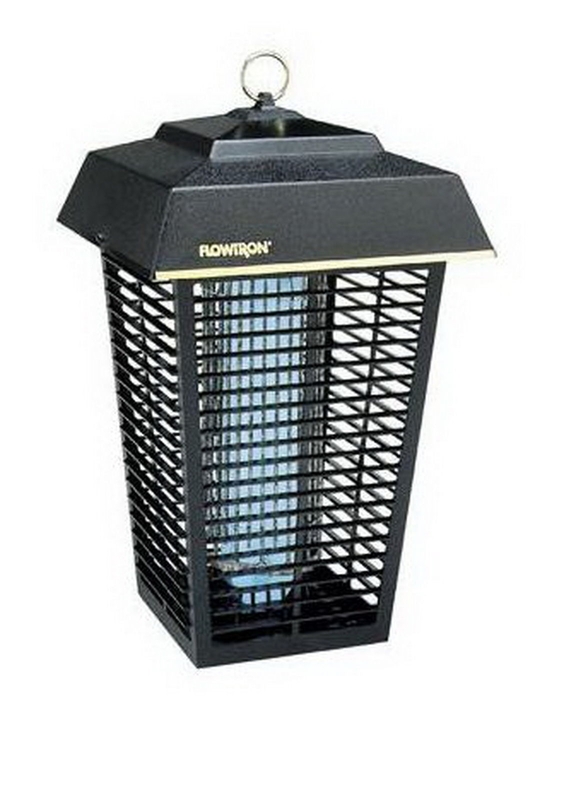 Don't let mosquitoes and other flying pest ruin your outdoor activities. 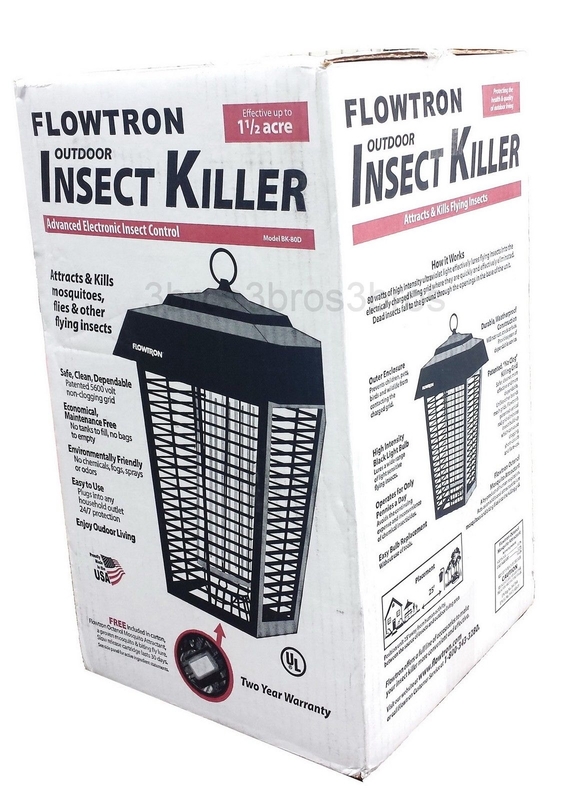 For over 30 years Flowtron has been making insect control systems, and protecting the health and quality of life for customers around the world. This unit is effective in killing a broad range of insect pests including mosquito species, which can transmit West Nile virus and other infectious diseases. It is a great solution for outdoor areas up to 1 ½ an acre using our patented, high efficiency, non-clogging killing grid that is safer, cleaner, more effective and more dependable than other imitators. The high tech vertical grid keeps clean and working reliably all season. 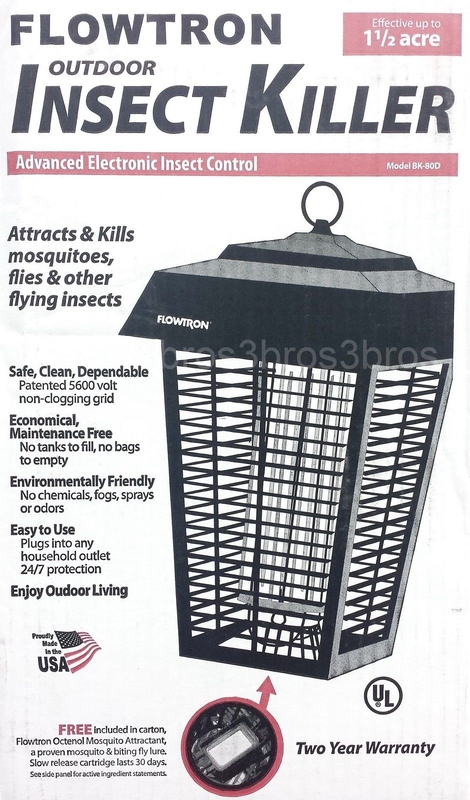 This electronic insect controller performs without pesticides, propane tanks, nets or glue panels. It includes a USDA tested Octenol cartridge in the carton. Octenol is a by-product of human respiration, it lures a wide range of mosquito and biting fly species into the unit's killing grid. This unit is extremely efficient and operates for only pennies a day. It is rugged, with weatherproof construction and will not rust, crack or fade and features easy bulb replacement. 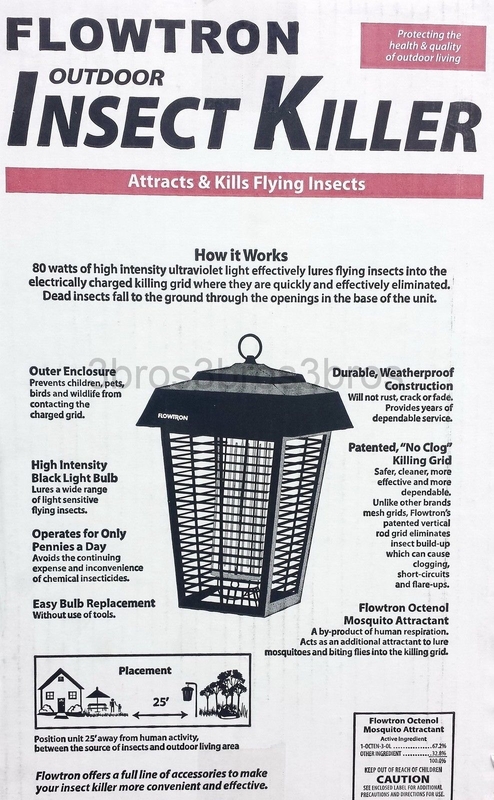 Reclaim your outdoor living space by ridding it of unwanted pest, order yours today. Dimensions: 11" x 11" x 18.5"